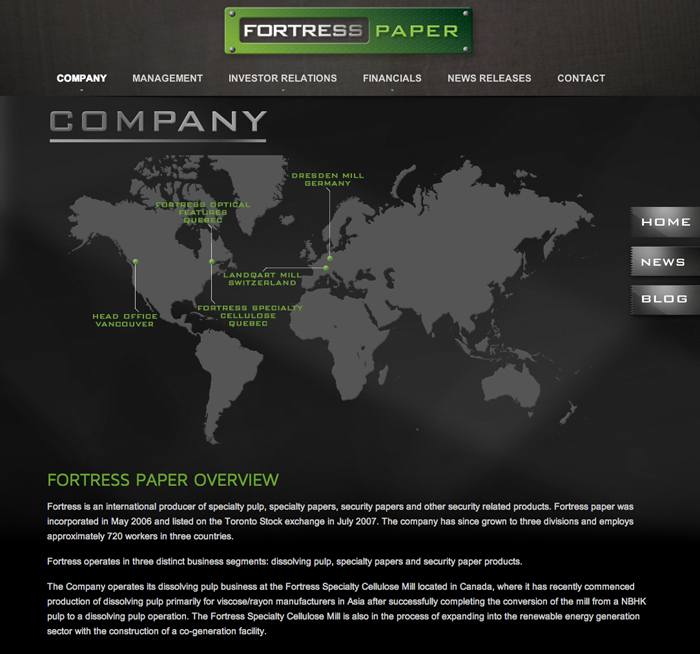 Fortress Paper is located in Canada, Germany, and Switzerland. 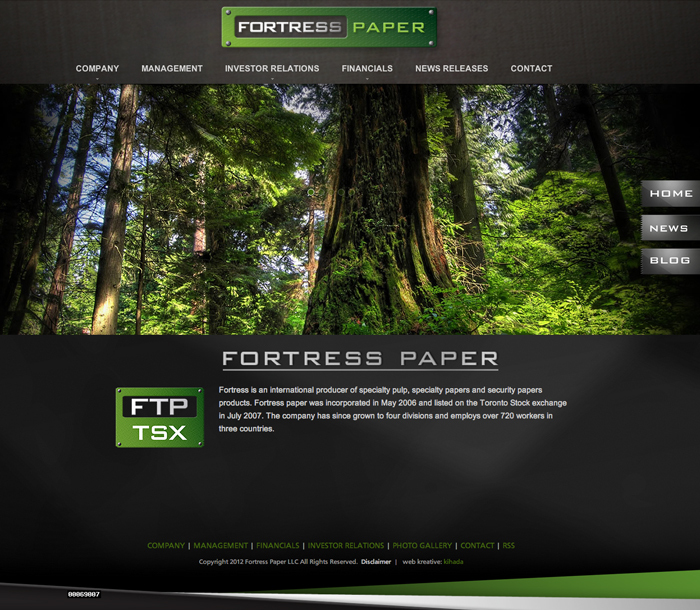 A leading producer of the paper products used to print banknotes in over 100 currencies in more than 50 countries worldwide, Fortress needed a website worthy of its enterprise – and we at Kihada were pleased to provide. 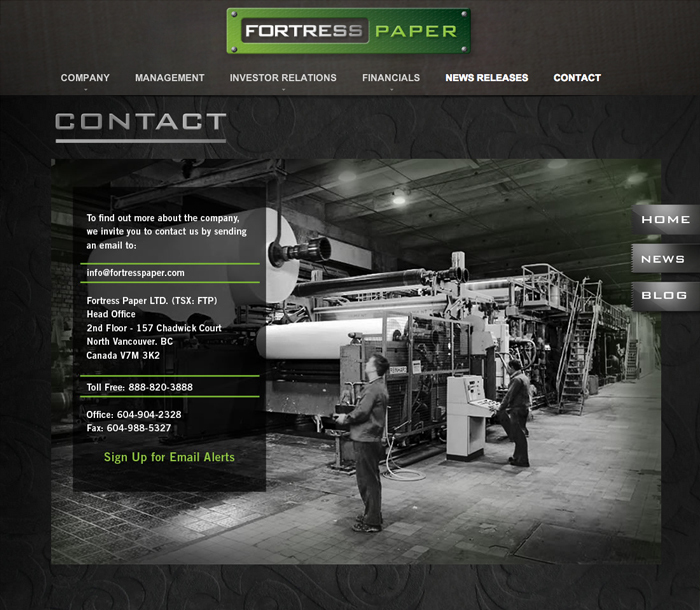 Our creative team completely redesigned their site, while updating the content to showcase Fortress Paper’s current breadth and distinction. We also gave the original logo a creative face-lift for a more modern look. Now their website holds the keys to the best online marketing: vibrant graphics that seize attention, a distinctive and eye-catching logo with undeniable brand presence, tools that make development and maintenance faster and more effective, easy-to-use back end for maintenance.